Additional shortcut for "auto-typing selected entry" can be set under Integration tab of Options window. 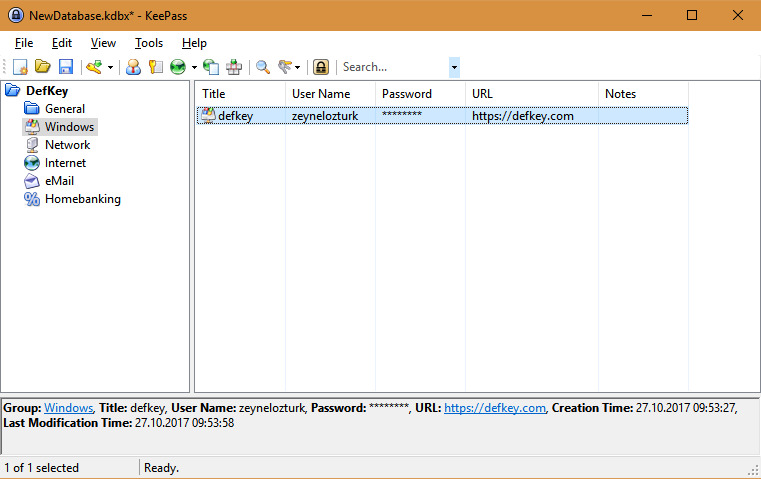 KeePass is a free password manager primarily for Windows. It stores user names, passwords and other fields in a encrypted file. This file can be protected by a master password, key file or Windows account details. What is your favorite KeePass hotkey? Do you have any useful tips for program? Let other users know below.